I make a stop at the Museum & Art Gallery of the Northern Territory to check out the 750kg stuffed crocodile called ‘Sweetheart.’ At the same time I find a gallery filled with beautiful Aboriginal art pieces and a fascinating exhibition on Cyclone Tracy. The Cornucopia Museum Café is next to the gallery and has a lovely outlook over lush lawns and the sea. It’s very relaxing and large enough to cater for bigger groups. If the heat is getting to you, there’s always seating available in the air-conditioned section. With two choices of scones, I opt for the spicy baked fruit rather than the plain, although both look delicious. The spicy fruit scone reminds me of Christmas, tasting like a moist plum pudding. It’s so rich and filling that you definitely only need one. 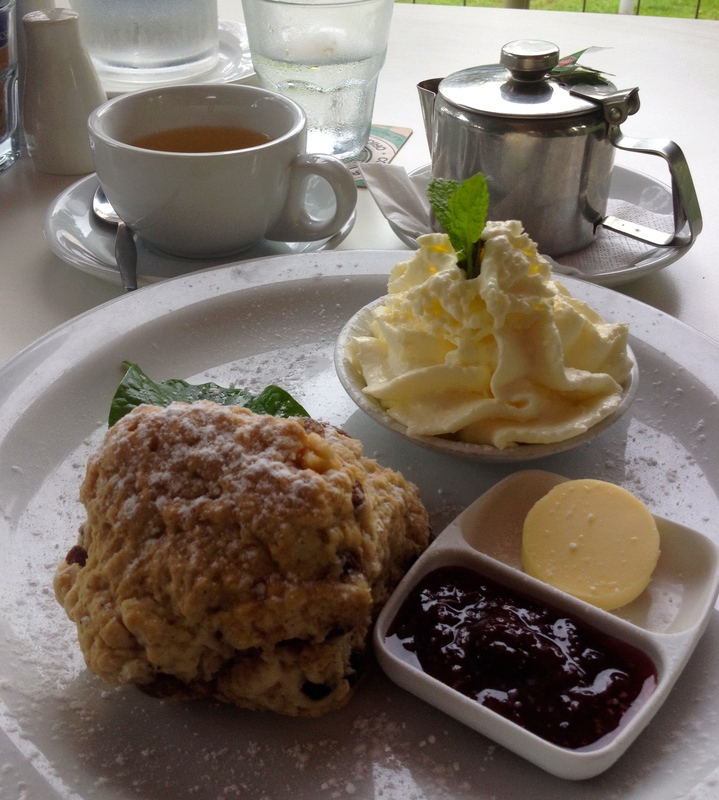 The raspberry jam is super rich, and for the size of the scone, I really needed at least three times the amount more. The cream is freshly whipped but firm from being in the fridge and the mint garnish is a nice touch. Tea: A selection of Lipton’s teabags or for a few dollars extra you can choose from a small choice of specialty loose-leaf teas. Overall: A lovely café overlooking the Timor Sea.